Home / Blog / A shop to stop hunger success! A shop to stop hunger success! Do you remember the beloved 90’s TV gameshow that sent contestants sweeping through grocery store aisles collecting tons of food? Well, the great folks at Kroger created their own version right here in Richmond to help Feed More! 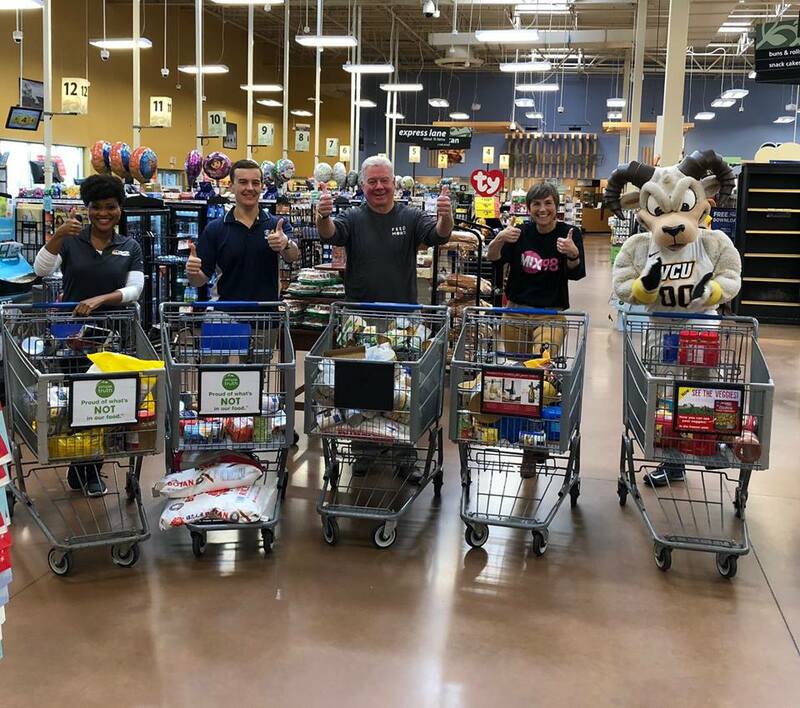 Our own President and CEO, Doug Pick, competed alongside four other local celebrities at the Kroger in Short Pump, including Karla Redditte from NBC 12, Jake Burns from CBS 6, VCU’s Rodney the Ram and Rebecca Wilde from Mix 98.1. Each had 90 seconds to fill their carts with as many nonperishable food items they could. In the end, we received 440 pounds of food from all five contestants combined, and more than $1,700 in gift cards from Kroger! All of that amazing food and funds will go directly into our programs and distributed through our Agency Network to help feed families throughout our 34 county and city service area. We can’t forget to send a big congratulations to Doug, who collected the highest number of items, and Rebecca Wilde, from Mix 98.1 FM, who had the highest cart value!